Although his great-grandfather François Joseph de Lapierre had been a painter, Francis Augustus Silva’s parents did not wish their son to follow his ancestor’s example. He was apprenticed to different trades until he finally began to work as a painter of poster advertisements. However, his incipient career as a self-taught painter was cut short in 1861 when he signed up voluntarily to join the Seventh Infantry Regiment. After the civil war ended he set up a studio in New York in 1867 to devote himself fully to painting and married Margaret Watts in 1868. A few years later, in 1869, he made his debut at the annual exhibition of the National Academy of Design and became a member of the American Water-Color Society in 1872. 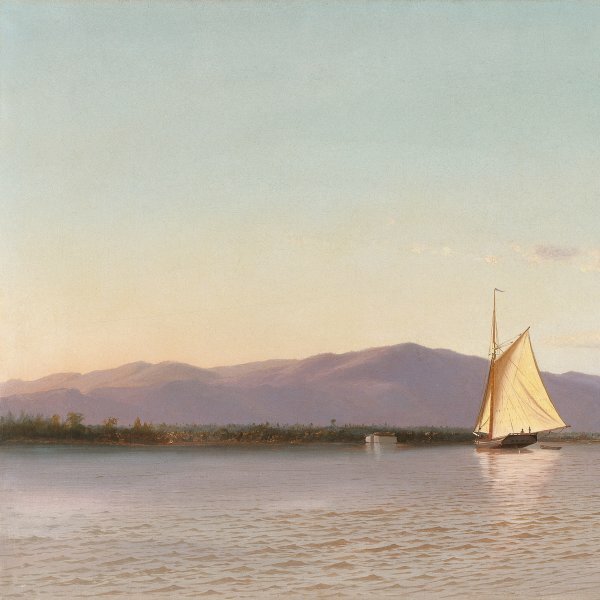 Silva’s summer outings to areas near New York such as the Hudson River, New Jersey, Massachusetts and Rhode Island were the basis of his landscapes, which were painted in the Luminist mode. His calm, luminous seascapes full of subtle gradations of light and atmosphere are the most highly valued compositions of his entire output.